Israel’s public relations difficulties are growing worse. Some people believe that this problem already constitutes a graver threat than the Palestinian danger. Why is Israel helpless in the face of this threat? Seemingly, everything possible is being done. Ambassadors are being briefed, our heritage sites are being upgraded, and even Israelis who travel abroad are enlisted for the PR cause. However, the criticism leveled at us does not only pertain to the corporeal realm: Who opened fire, was white phosphorous used, etc. This criticism aims to undermine Israel’s right to exist. Yet on this ideological level, Israel is not only showing weakness in the way it conducts itself; it in fact raises question marks over its own right to exist. Israel’s right to exist is premised on the world’s support for the Zionist idea, that is, the establishment of a national home for the Jews in order to bring them out of the Diaspora. Israel was meant to be a solution and an alternative to the Diaspora. However, over the years, Israel’s devotion to its mission has declined. Instead of separating from the Diaspora, Israel created a symbiotic relationship with it under the paradigm whose motto is “We Are One.” Instead of aspiring to end the Diaspora, Israel works to perpetuate it. Joint programs by Israel and world Jews are meant to boost the latter in the Diaspora, rather than to bring them out of it. Alongside aliyah envoys that head to the Diaspora from here we also have envoys whose job is to nurture the Jewish communities overseas. The flagship of the joint work in recent years, the Taglit project, is perceived as a Zionist enterprise here; in fact, it aims to salvage Jews from assimilation in order to boost the Jewish community in the Diaspora. Instead of distinguishing itself from the Diaspora, Israel desperately clings to it. The notion of “Zionism,” which aims to separate us, was replaced by the “memory of the Holocaust” as a constitutive value that binds us together. Instead of emphasizing Israeli Judaism, we export meaning, theology, and Jewish patterns from the Diaspora. Instead of becoming an alternative, Israel has become a branch of the Diaspora in the Holy Land. Israel’s conduct implies a positive attitude to and promotion of the Diaspora; for example, the glorification of Elie Wiesel, the symbol. When Mr. Lessons of the Holocaust chooses to reside in New York, he conveys the message that there is no problem with the Diaspora. For that reason, Journalist Matti Golan referred to Wiesel – as a symbol, not on the personal level – as a worse enemy of Israel than Yasser Arafat. When Israel invited Wiesel – the symbol, not the person – to light a torch on our Independence Day, it confirmed that there is no problem with the Diaspora. Or in other words, there is another choice. If there is another choice, Israel is not a must. And if it is not a must, it may have no right to exist. It may even constitute a great injustice. How can we justify the 100-year-old conflict with the Arabs and the tension it causes across the world if the Diaspora is also an option; if Israel is only a caprice? The Jews in Israel argue that the Jewish people is like any other nation and therefore is entitled to a state of its own. 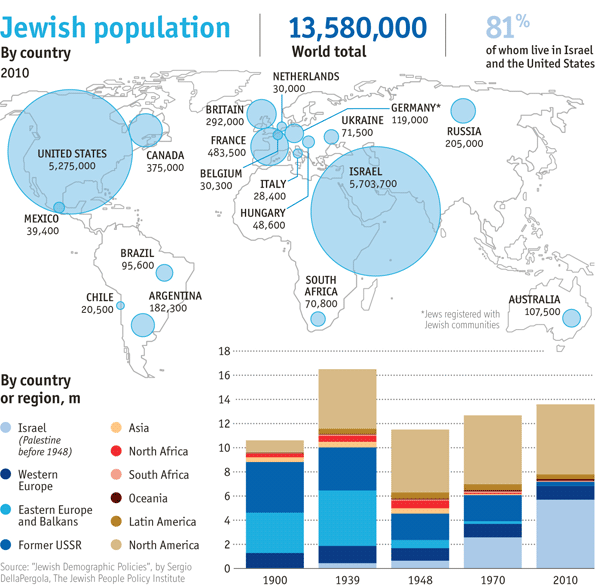 Meanwhile, Diaspora Jews claim that the Jewish people is not like all other nations and is therefore entitled to exist in a separate manner in all states of the world. Yet at the same time, both parts of this people zealously claim that “We Are One.” Can you find more dizzying intellectual acrobatics than this? A better reason for anti-Semitism? Organizations sometimes lose their right to exist. At times it happens because they completed their mission, as was the case with the Palmah, for example. Other times it happens because they deviate from their original mission, or because they grew tired of their mission, as was the case with the Kibbutz, whose members lost interest in the collective way of life it was meant to provide. Could it be that some elements of the Kibbutz syndrome are also present in Israel’s case? Could it be that Israel has grown tired of its mission? Devotion to the mission requires Israel to distinguish itself from the Diaspora. If there is nothing wrong with the Diaspora, Israel is not a “must,” but rather, only “Nice to have.” As such, it will not be able to curb the de-legitimization or to keep its youngsters here. And just between us – if Israel is not the answer to the Holocaust, is not a model for a different kind of Judaism, and there is no problem with the Diaspora – perhaps Israel is indeed unnecessary?